Chiefs have accused Zanu PF of sidelining them after they were overlooked for the positions of Senate president, deputy Senate president and chief whip in elections held in Parliament on Tuesday. The Zanu PF politburo met on Monday prior to the elections to deliberate on the ruling party’s candidates for the National Assembly speaker and his deputy’s post as well as that of the presiding officers for the Senate. The party settled for Jacob Mudenda to retain his speaker’s position with Tsitsi Gezi deputising him while in the Senate Mable Chinomona will be president as Mike Nyambuya deputises. However, the politburo decision that the MPs went along with during elections irked traditional leaders who came out guns blazing yesterday accusing the ruling party of looking down upon them. 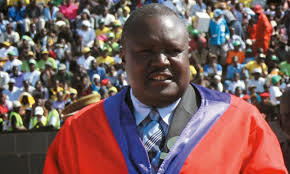 Chief Siansali of Matabeleland told the Daily News yesterday that traditional leaders feel let down by the ruling party saying they must be treated as equals with other MPs. “We feel we also have capacity to lead and that we are equal members when we are in Parliament and that is why we are there,” Siansali said. Pressed to say whether they had ever engaged Zanu PF or President Emmerson Mnangagwa, Siansali said it was unnecessary for them to do that. “We did not approach anyone about that but it is not about approaching Zanu PF but being recognised as MPs just like anyone else who is a member of the august House. “In the future we urge them to consider us as well...,” he said. Traditional leaders have been blamed for dabbling in politics and acting as Zanu PF’s political commissars during elections.